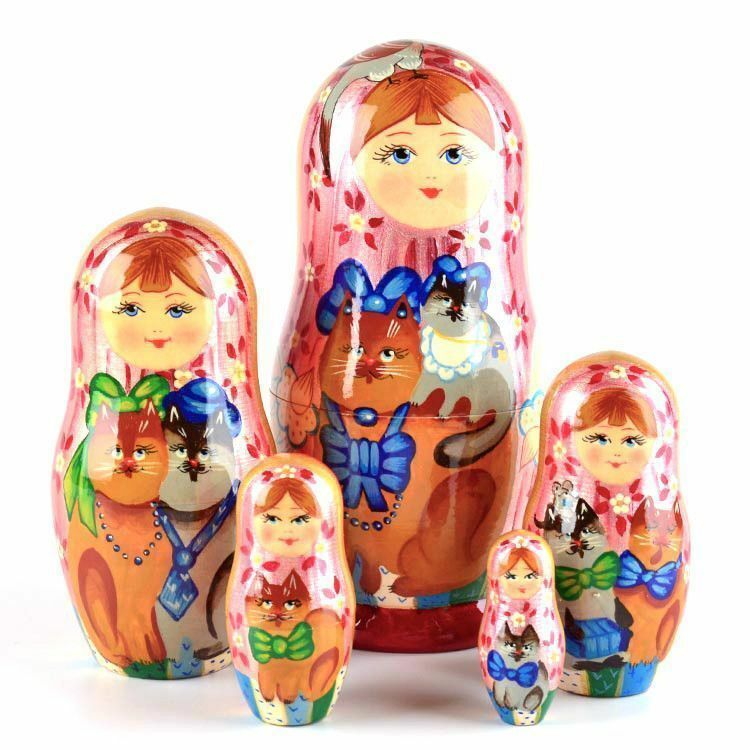 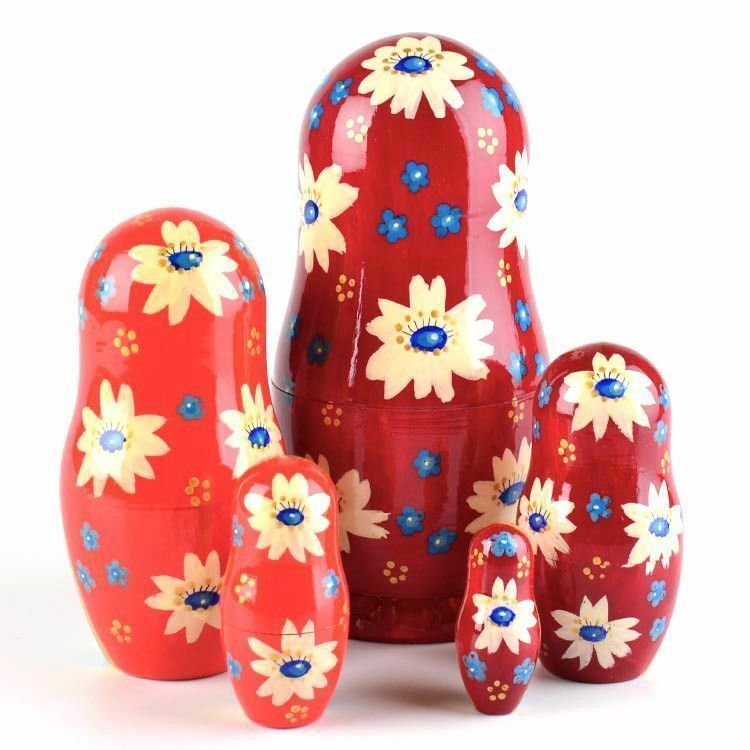 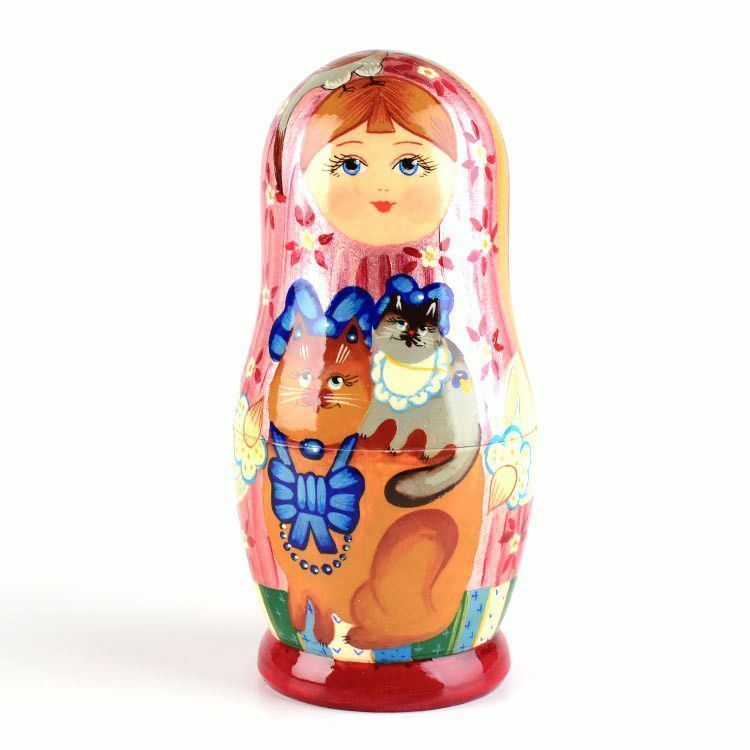 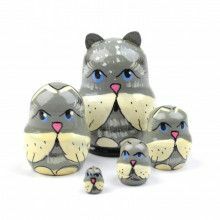 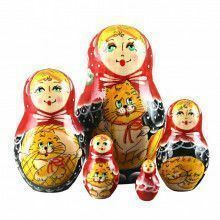 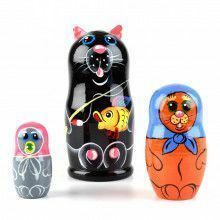 This cat family nesting doll is ideal for the cat-lover in you. 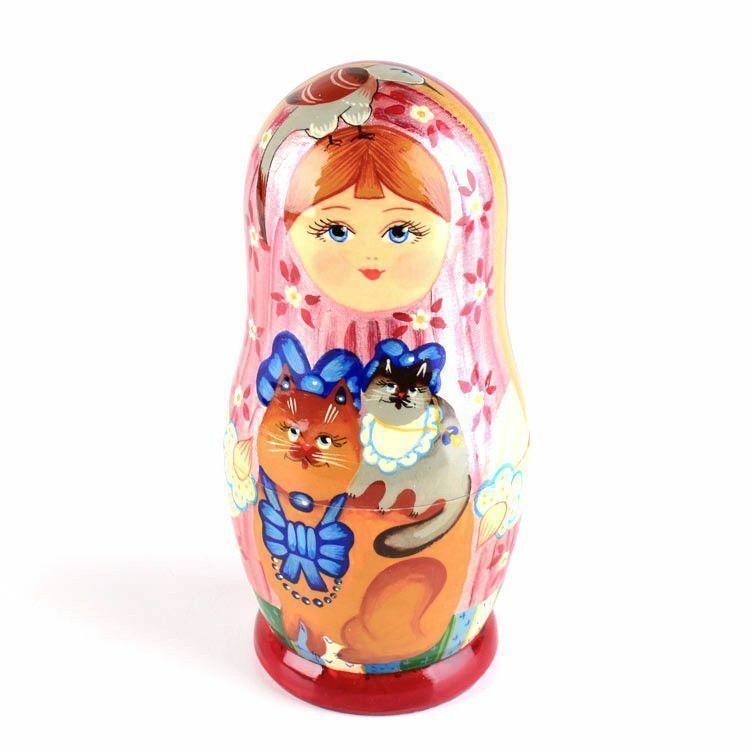 It features 5 dolls total, each with at least one cat on it. 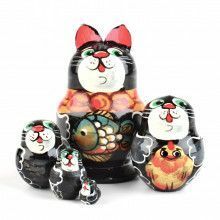 There are small details, like bows in the cat's hair, and a bird on the head of the main matryoshka, that give it a fun appeal. 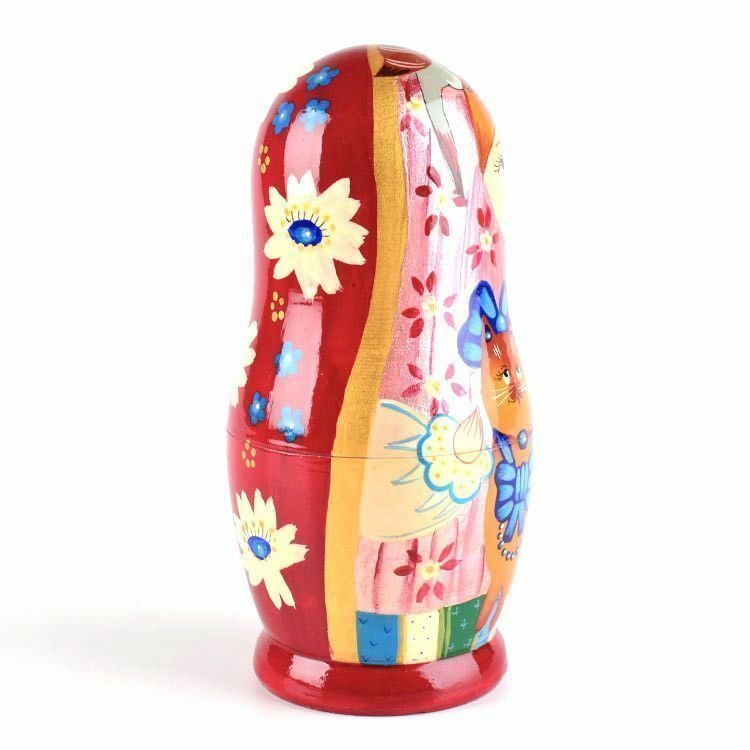 This particular nested doll is highly glossed and about 7" tall.